Play Unplugged posted up another of their AKC Championship-winning reviews. This one's for the Orc Archers from Ramshackle Games. Orcs are one of the most iconic antagonists in the realm of fantasy. They are downright pervasive in our collective gaming, and you can find examples of them in almost any fantasy game in which you would push toy soldiers around a battlefield. With so many options, miniature gamers are spoiled for choice, when it comes to selecting orcs for your all conquering horde. 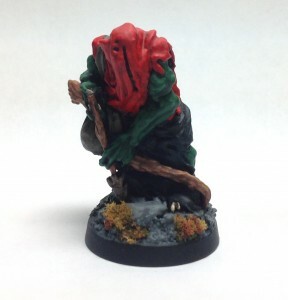 There are miniatures like those in Games Workshop’s fantasy line, that suit a more modern aesthetic; while traditionalists likely love Otherworld Miniatures’s old school sensibilities. The point is, there are a lot of orcs out there, if you bother to look.